The Bible contains lots of different stories about different people who lived in different times, but all those stories combine to tell one big story. What’s the big story? 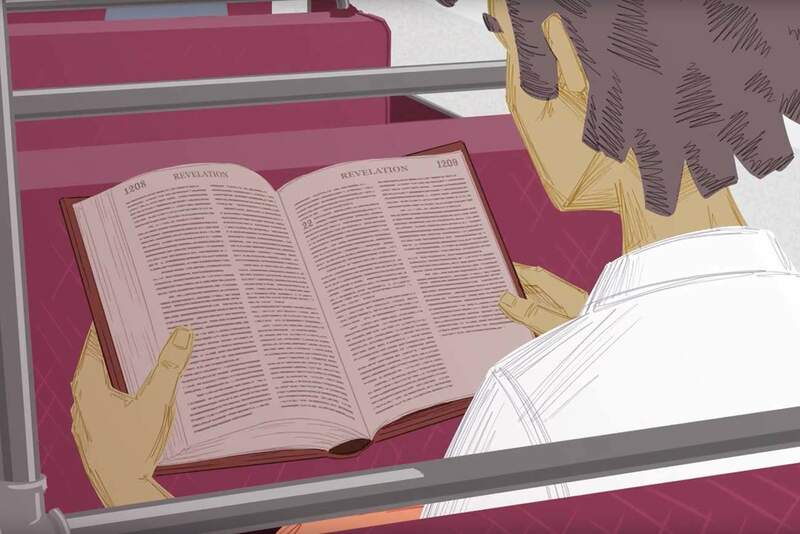 The Bible is an important book, but, it’s really long—and hard to understand. One of the reasons it can be hard to understand the Bible is that the Bible isn’t just one story. It contains many different stories spanning a huge history. But if you can get the big story that ties all the little stories together, it gets a lot easier. This is lesson 2 in our new 12-21 series on how to train your Bible. To get the most out of your Bible, you have to train it. In this blog series we will be posting a new video from thebibleproject.com every week to help us get our heads wrapped around the Bible. Spend six minutes a week watching the video and you will be amazed at how easy it can be to train your Bible. The big story of the Bible is the story of exile and redemption, starting with the exile of the first human beings from Paradise. Sin forces us out of God’s presence and into exile, but God does not abandon us. He finds a way to redeem his people. Along with each video, we post a PDF of the study notes from thebibleproject.com. Click here for the second lesson. Remember, the videos from bibleproject.com are written from a mainstream Christian perspective, so you shouldn’t be surprised when you encounter English names (like “Jesus” instead of “Yeshua”) or theological expressions that sound a little foreign to the way we might express them in Messianic Judaism. Just keep the big picture in mind, and take hold of the big story.